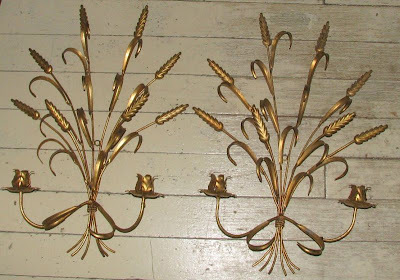 I've been jonesing for some wheat sconces for a while (I want to say something like 9 months). 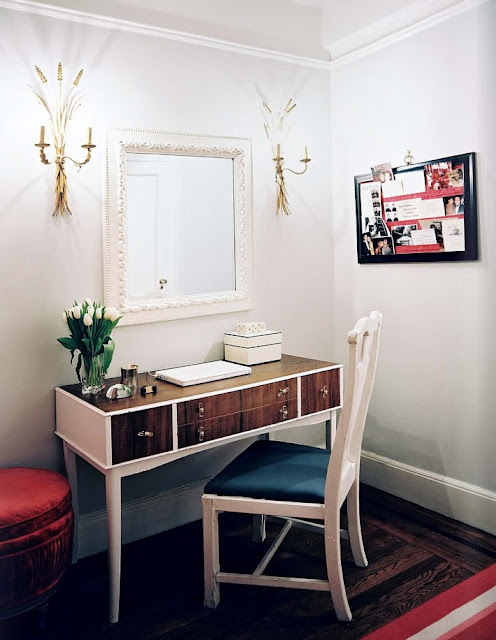 Knowing that my fireplace mantel would one day be complete, I always had the thought of finding a great mirror and flanking it with some big sconces. What I liked most about the sconces wasn't their coral-ness (although very nice) but actually how they projected from the wall. I liked that they were sculptural and quirky. As I dove into a search for a pair of sconces to call my own, somewhere along the way, I fell in love with the wheat motif. I think the first time the wheat theme called to me was when I found an awesome pair of vintage white tole sconces on Etsy for a steal of $35. 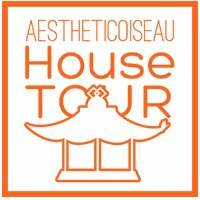 I debated and debated - still not fully confident that I could put large, sculptural sconces in our living room (perhaps too grand/traditional for the space). So as I thought and thought...someone else bought them. And of course, as soon as they did, I totally regretted my decision and doubled my efforts looking for wheat sconces. So, it's been months since my Etsy darlings passed me by and I've been scouring Etsy, eBay, flea markets, etc. to find a good vintage pair (within my budget - always key)...and finally, it was my day yesterday! And perfect timing since I'm making fireplace mirror decisions. I found them on eBay for $35 (and a respectable shipping fee) - the seller had relisted them because the previous buyer hadn't paid up (and I had actually missed them the first go around). Woohoo! These are actually better than the Etsy pair because they are gold, which is what I originally wanted. I think they might work well next to my free mirror, which I will paint gold to match. I think the traditional motif will work nicely against the geometrics and color of my living room. PERFECT! Can't wait to see them hung. what a find and a bargain. What an excellent find! And waiting certainly did pay off, didn't it!? Gorgeous! Can't wait to see what you use to paint the mirror- I have a couple of mirrors/frames around here that would look better in gold (one of which used to be a pretty gold until I painted it a year ago- doh!) and I can't decide what to use. LOVE these. Great find!!! 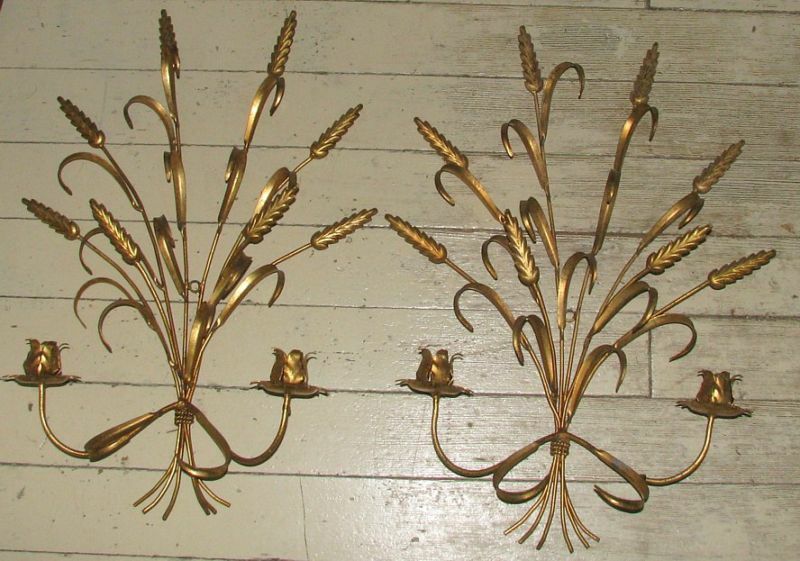 Hmmm maybe wheat sconces are on my want list now...!